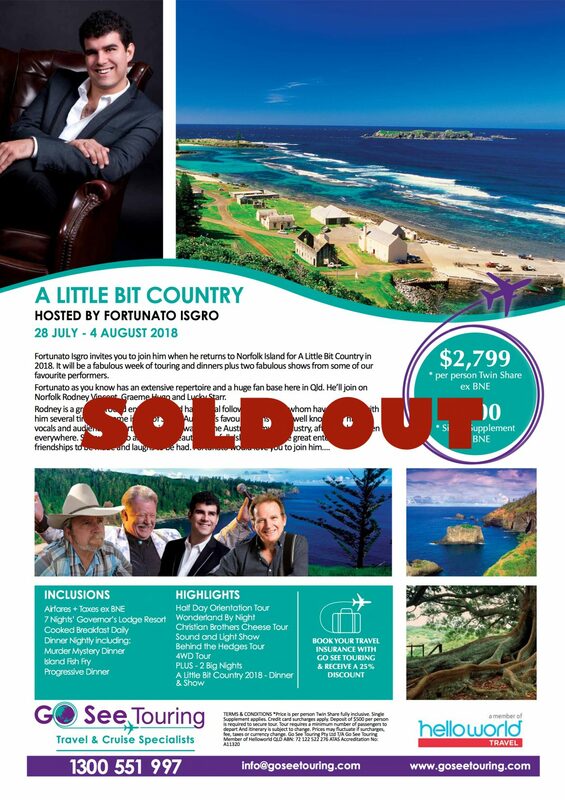 With the success of “A Little Bit Country Tour 2017” Fortunato will be returning back to Norfolk in July 2018. I will be right there with them as well singing away, This is where I get to pull out the guitar and sing and have fun with friends at every oportunity. I have been to Norfolk Island twice and can’t wait to go back, The local people are beuatiful, The food is lovely and the friends I make last forever. sight seeing, swimming, go for walks or just sit back and have a sing a long with Fortunato. the Island is only 35 square kilometer’s in size so you won’t get lost, it’s all waiting for you in Norfolk Island.